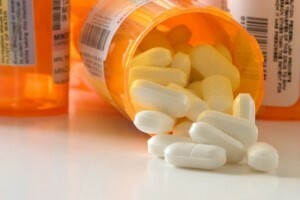 Prescription drug abuse has steadily increased over the past decade. While many Arizona residents may feel that offenses involving medication, which can be prescribed by a doctor, is “no big deal” the fact of the matter is that obtaining pills without a prescription is a crime. It is also a crime to sell pills, obtain a prescription pad and write false prescriptions, or to steal prescription pills from a medical facility. If you are a medical professional and are accused of writing false prescriptions to drug seekers your medical license could be taken away. If you have been accused of a prescription drug offense then it is important to hire an attorney who will defend your interests. Bretton Barber is a Phoenix defense lawyer who practices exclusively in the area of criminal defense. Contact our office today to schedule a consultation. Given the added complexity of fraud, the Arizona Attorney General’s Office typically prosecutes these cases and the punishments are severe, as these crimes are charged as high level felonies. Arizona has drug laws which are more complicated than those in many other states, and prosecutors generally will work with a first or second time offender for possession. This may include allowing them to enter a diversion program. However, if investigators determine that someone is selling prescription drugs, much less forging prescriptions for the purpose of selling them, they will prosecute the case more aggressively and seek prison time. Criminal defense attorney Bretton Barber assists Arizona residents charged with a prescription related offense. At your initial consultation he will discuss the case’s possible outcomes with you. This will include whether you should fight the charges or enter a diversion program such as TASC. If it is your best interests to proceed then we will explore all possible options. This can include filing a Motion to Suppress Evidence due to unlawful search and seizure issues or defending the case at trial. We will be in regular contact with you throughout the process and our lawyer regularly provides clients with his personal cell phone number. We understand that you are facing a situation and we will treat it accordingly. In addition to Phoenix we represent defendants in other Maricopa County cities such as Mesa, Glendale, Scottsdale, Chandler, and Gilbert. We also assist Pima County residents in Tucson. As mentioned above, there are a variety of ways in which one may wish to proceed when charged with a prescription related offense in the Phoenix area. First and second time prescription pill offenders are generally not sentenced to jail time, with some exceptions, as long as the drugs were for personal use. Drug diversion programs, such as TASC, are available but have strict requirements regarding attending drug counseling, AA or NA, and about how frequently one must pass urine tests. The cost of these diversion programs are also high, and may conflict with work, childcare, and other obligations. The strict nature of the TASC program means that it is not a perfect fit for everyone and that you should consult with an attorney before deciding to enter the program. We are ready to assist you.